I’m working on a series of guidebooks that develop the touring routes on this site, as well as additional day rides and side trips. 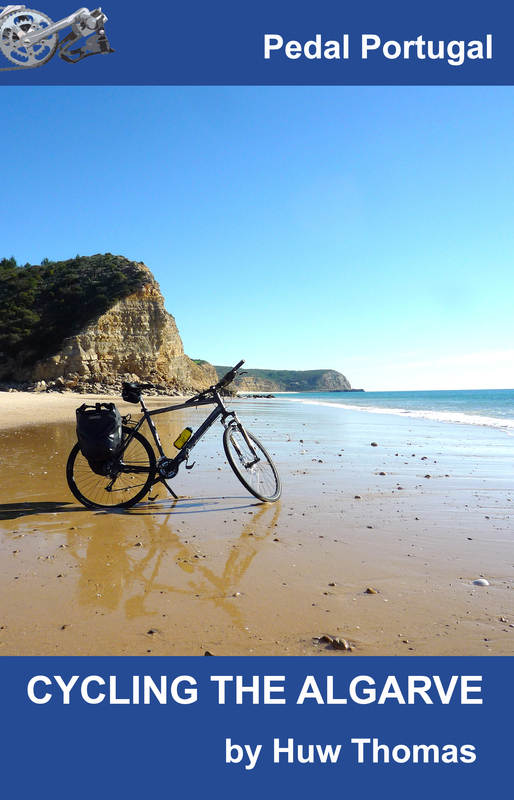 The latest (second) book – Cycling The Algarve – is now available (see below for more details). This guide is based in part on The Algarve Adventure, a circuit covering the western half of the region, including the Costa Vicentina natural park that extends north along the Alentejo coast. 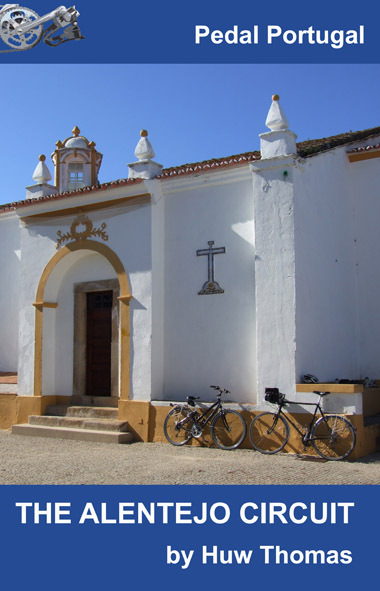 The Algarve guidebook also features a couple of shorter routes, plus options to link up with The Alentejo Circuit (see below), as well as a selection of day rides of varying lengths and different levels of difficulty. The first book – The Alentejo Circuit – was published in December 2014 – is based on the popular touring route of the same name (see below for more details). Both books are available in ebook (Kindle) format or as a paperback print edition. Additional books will follow based on other areas of Portugal, as well as one giving options for north-south routes across the country. The Pedal Portugal website will continue to offer a basic description and maps of all the routes for free, while the books will give much more detailed support and information, plus ideas for side trips, alternative routes etc. Portugal’s Algarve region draws millions of sun worshippers and beach lovers but it’s also a fantastic destination for cycling, particularly in the winter months. 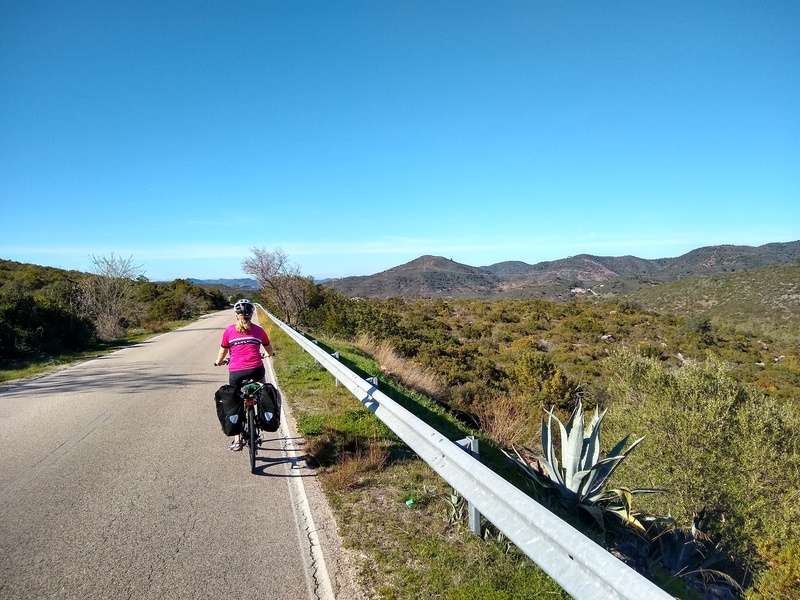 This unique cyclist’s guide covers the western half of the region, giving a general overview of riding in the Algarve, plus highly-detailed descriptions of a six-day touring route, plus a couple of two-day rides, and 10 individual day rides of varying length and difficulty. The 204-page print edition of Cycling The Algarve costs £6.99 or US $9.99 from Amazon. (You can also order from any book shop with the ISBN number: 978-0957584150). 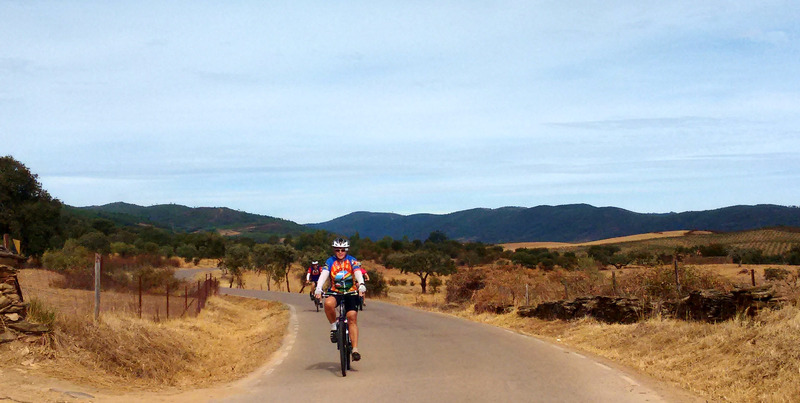 The Alentejo has some of the prettiest old towns in Portugal – and some of the gentlest cycling. It’s not flat but it’s certainly nothing like as rugged as other parts of the country. 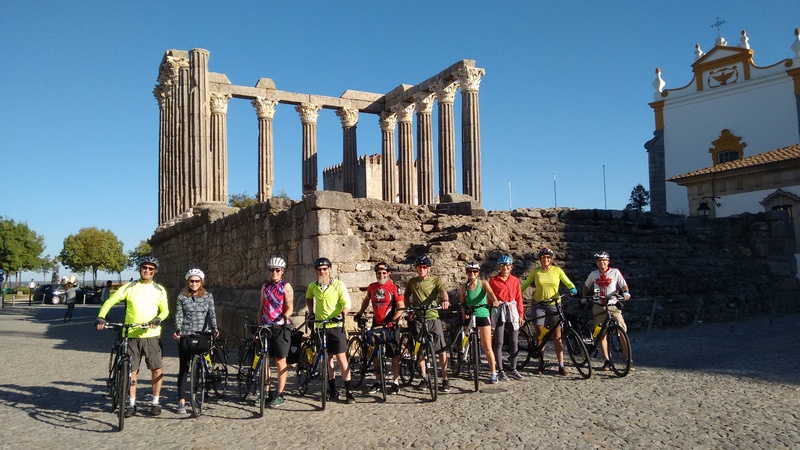 This six-day route starts and finishes in the historic city of Évora with its World Heritage centre and takes a loop through some of the region’s most scenic countryside, visiting the idyllic hilltop village of Monsaraz, a string of castle towns and the southern city of Beja. The 90-page print edition of ‘The Alentejo Circuit’ costs £4.99 or US $7.99 from Amazon. (You can also order from any book shop with the ISBN number: 978-0957584129). After the Algarve book, the next book will probably be one looking at a couple of options for north-south routes through Portugal. (Unless another idea takes over.) Expected publication date will be mid-2016. Sorry it has taken me so long to reply! I don’t know why the book is so expensive. You should be able to buy the printed version through Amazon for about 6 euros. This doesn’t include delivery but I would be amazed if postage is 32 euros! I don’t keep any copies myself as it’s not worth it. Delighted you enjoyed it and thanks for taking the time to get in touch. I hope you avoided the worst of the recent bad weather. hi i am thinking of riding EV1 through portugal along the coast is this going to be covered by your possible new guide book ? if so when do you think it may be published? Hi Matthew. I’m afraid the guidebooks are on hold for the time being because I’ve been too busy running guided tours. To be honest, I also wouldn’t bother doing a guidebook on someone else’s route. 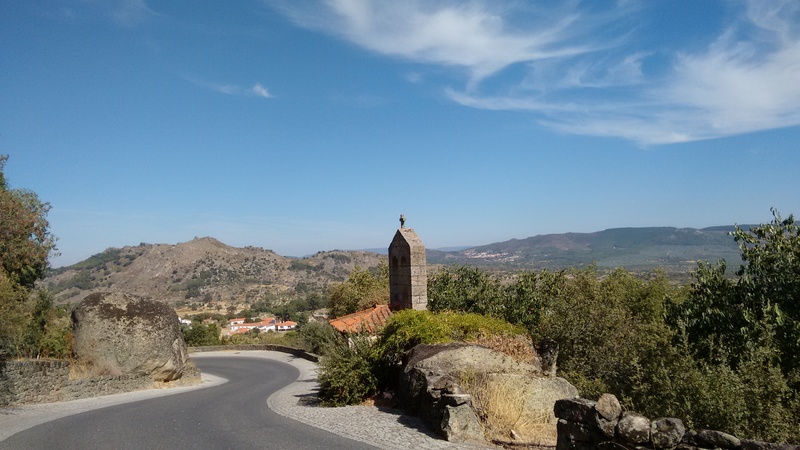 Plus – to my mind – the best cycling in Portugal is inland not on the coast. 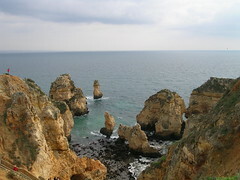 The coast is too busy and nothing like as scenic as other parts of Portugal. The EV website also shows the Atlantic coast route as ‘realised’ but I would take this with a huge pinch of salt. I don’t remember seeing any signage for it when I was in SW Portugal earlier this year. Hello Huw. Hope your project is going well. I am planning a charity bike ride from Urroz to Uruena in Northern Spain in aid of the Urology unit at Guys Hospital in London…you can see why I’ve chosen those two places! Can you suggest a practical way to try and pre-plan a route without my doing a reccy there first? Is there a website or some other source where I can get a feel for whether a route/road /track is suitable for a robust but not mountain bike…it’s a tourer with quite chunky tyres and I would rather meander through wine growing etc areas that are attractive in May than charging down a car busy Roman road kind of thing. Any help? Simplest suggestion is Google Streetview! I use it as the first stage of checking out routes in areas I don’t know. It probably covers 95%+ of roads. Work out a rough route using a mapping app like RideWithGPS (that will also give you distance and amount of climb involved) then use Streetview to ‘look’ at roads and see how major they are, whether there appears to be lots of traffic, good surface etc. Not infallible but it will be good start. I’d love to get your guidebooks but my e-reader is not compatible with the Kindle format (.mobi). Do you have an .epub e-book available somewhere else on the web? Hi Allysse. I don’t at the moment – I know that you can download Kindle readers (for free) for tablets/PCs etc. Not sure if you can get them for other e-readers. What are you using? I have a Sony e-reader. It’s a little old now (about 5 years old) but still works great. I don’t think I can get a Kindle reader for it though as it’s not connected to the Internet at all and only works with its own software. I do have an iPad but I wasn’t thinking of taking it with me (simply because I would have to charge it more often and it’s nicer to read on paperwhite screen). I use a front hub Dynamo for lights but also to charge iPad. It is not quite powerful enough to run the iPad as a navigation aid but can keep it topped up for reading.